CalGasWarehouse is an ecommerce site with a focus on providing industrial gas, calibration gas, specialty gas, bump gas, and accessories. Don’t let the speed of service fool you, our quality is our lifeblood. Gasco Affiliates, our direct ship vendor, is made in the USA and has plants in Florida and Texas. 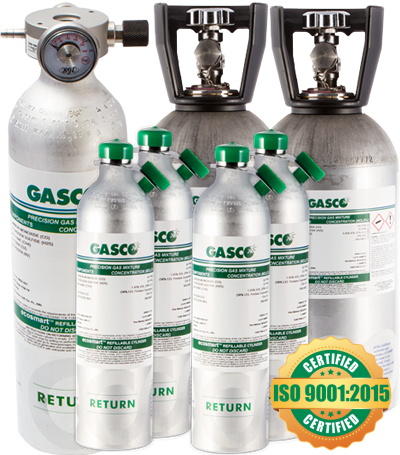 They make the highest quality gases available in the market today. Although we are offering specific products on our site, any mixture can be made upon request. Our priority is saving Time, Money, and the Environment!